Although there are several good books on unsupervised machine learning, we felt that many of them are too theoretical. This book provides practical guide to cluster analysis, elegant visualization and interpretation. 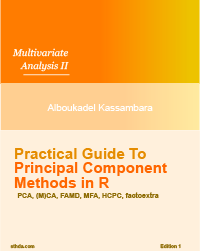 This book provides a solid practical guidance to summarize, visualize and interpret the most important information in a large multivariate data sets, using principal component methods in R.
Applied Predictive Modeling covers the overall predictive modeling process, beginning with the crucial steps of data preprocessing, data splitting and foundations of model tuning. The text then provides intuitive explanations of numerous common and modern regression and classification techniques, always with an emphasis on illustrating and solving real data problems. By using concrete examples, minimal theory, and two production-ready Python frameworks - scikit-learn and TensorFlow - author Aurélien Géron helps you gain an intuitive understanding of the concepts and tools for building intelligent systems. This book introduces you to R, RStudio, and the tidyverse, a collection of R packages designed to work together to make data science fast, fluent, and fun. Suitable for readers with no previous programming experience, R for Data Science is designed to get you doing data science as quickly as possible. This book is a complete introduction to the power of R for marketing research practitioners. The text describes statistical models from a conceptual point of view with a minimal amount of mathematics, presuming only an introductory knowledge of statistics. 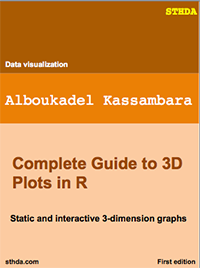 Hands-on chapters accelerate the learning curve by asking readers to interact with R from the beginning. Core topics include the R language, basic statistics, linear modeling, and data visualization, which is presented throughout as an integral part of analysis. 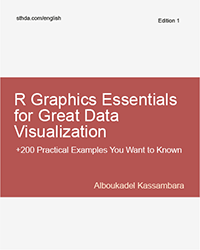 This practical guide provides more than 150 recipes to help you generate high-quality graphs quickly, without having to comb through all the details of R’s graphing systems.